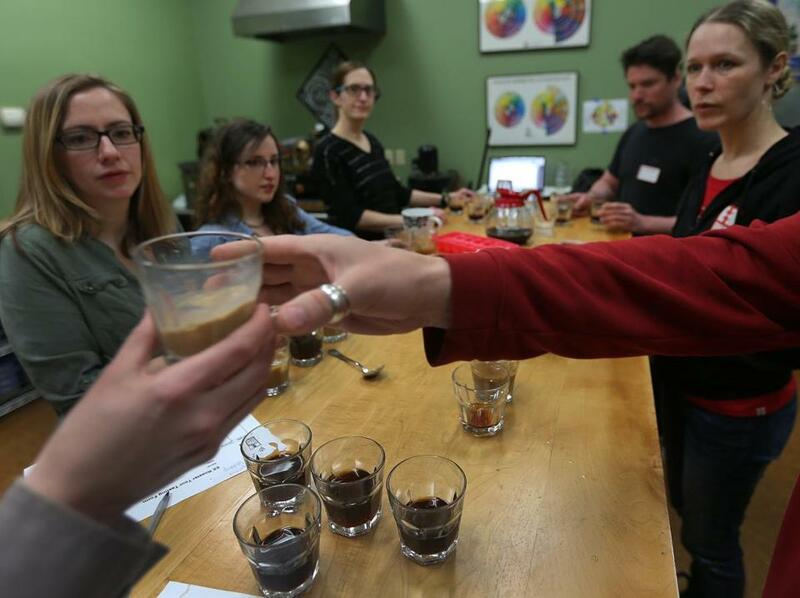 Equal Exchange workers tested out coffee blends earlier this month in the tasting room at the company’s West Bridgewater facility. When Blake Jones heard shares in a certain West Bridgewater company would be available, he jumped at the chance to invest. This was not some hot tech stock, or a community bank likely to be gobbled up in a few years. In fact, the chances that the fair-trade coffee importer Equal Exchange will ever be sold are slim to none. The promise of a big payday down the line does not exist for Jones, the chief executive of Namaste Solar in Colorado, or other investors. The shares will never grow in value. But this worker-owned cooperative offers a reliable dividend, usually 5 percent a year. And Jones sees something more valuable: the opportunity to help kindred spirits develop an economic model that he hopes could change the world, one dollar at a time. Equal Exchange banked on people like Jones showing up for the stock sale, which closed this week. It was a sale watched closely throughout the co-op world, where Equal Exchange is considered a pioneer. The company said it raised $4.1 million for its business expenses from 136 investors: That’s double the size of its last stock offering, four years ago, and the largest sale of equity to outside investors for any worker-owned cooperative in North America. The sale did not involve huddling with dark-suited bankers or making Acela trips to Manhattan. Instead, Equal Exchange directly vetted investors over the course of the past year. 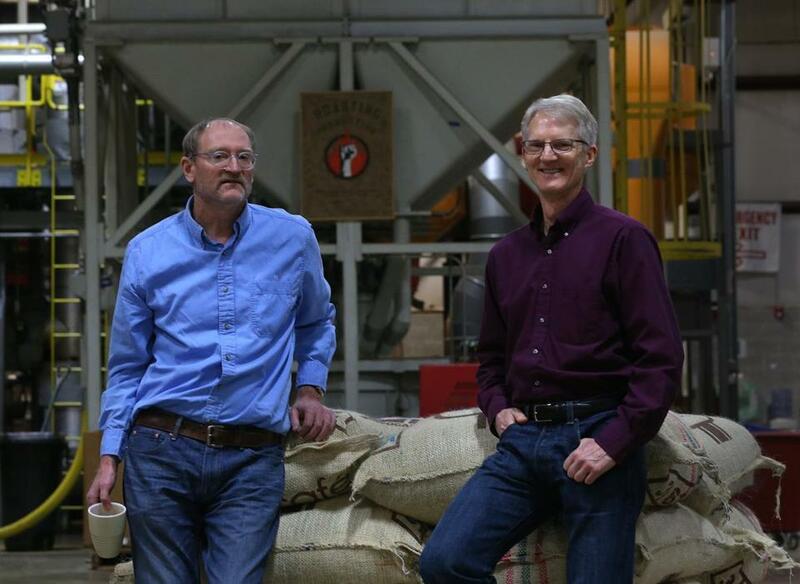 The goal, of course, is to keep alive the worker-friendly ethos that drove Jonathan Rosenthal, Michael Rozyne, and Rink Dickinson to start the company in an old mill building in Boston’s South End 29 years ago, back in the early years of the fair trade movement. Equal Exchange employees Mario Teixeira (left) and Terry Boisclair worked in the company’s West Bridgewater warehouse. The friends shared a vision of helping impoverished coffee farmers in Nicaragua earn a decent price by selling fair-trade designated premium coffee to stores in the area — and they wanted the corporate structure to reflect that mission, with new employees becoming equal partners. Dickinson, who remains an active company leader as its co-executive director, said the original spirit thrives even as the company has grown to exceed $60 million in annual sales and nearly 130 full-time employees, most of them also shareholders. Equal Exchange has since expanded into chocolate, tea, bananas, and other fair-trade imports. Executives say they’ve proven that a for-profit company can be successful and financially disciplined when the maximization of shareholder returns is not the primary goal. Because the outside investors buy nonvoting shares, employees make all decisions about the company’s future. The workers do not cede control to lenders, hedge funds, or money managers. The nature of the cooperative structure makes it highly unlikely that the company will be sold. “We knew we needed capital, and we wanted to raise it on terms that were completely compatible with the mission of the organization,” Dickinson said. Getting a normal bank loan usually is not easy for a cooperative, with its nontraditional ownership model. That’s a reason why they occasionally offer their stock for sale. (Equal Exchange does have a lending relationship with Eastern Bank and other lenders.) In this case, Equal Exchange’s $4 million will be used for a number of expenses: building up inventory, upgrading the computer system, prepping a warehouse in Canton for an expansion. Equal Exchange co-executive director Rob Everts said the company talks with each of its investors before bringing them on board. The financial chicanery that caused the Great Recession has made companies like Equal Exchange more appealing for people who care about their investments’ business practices, and for those who are frustrated with Wall Street. Friendly financial advisers often refer individuals to Daniel Fireside, the company’s capital coordinator. Investment banks? They’re not welcome. Takeover bids? They go in the trash. Cofounder Rink Dickinson (left) and co-executive director Rob Everts say they are only interested in investors who are focused on the long view. Worker-owned cooperatives can generally sell stock through private placements like Equal Exchange’s or with crowdfunding efforts known as direct public offerings. In both cases, the investors receive nonvoting shares. At Equal Exchange, the investors need to hold shares for at least five years before cashing out. Equal Exchange has presented a proven path that other, younger cooperatives can follow. David Hammer, executive director at cooperative adviser ICA Group in Brookline, said that stock sales can help a co-op quickly evolve beyond a small startup. 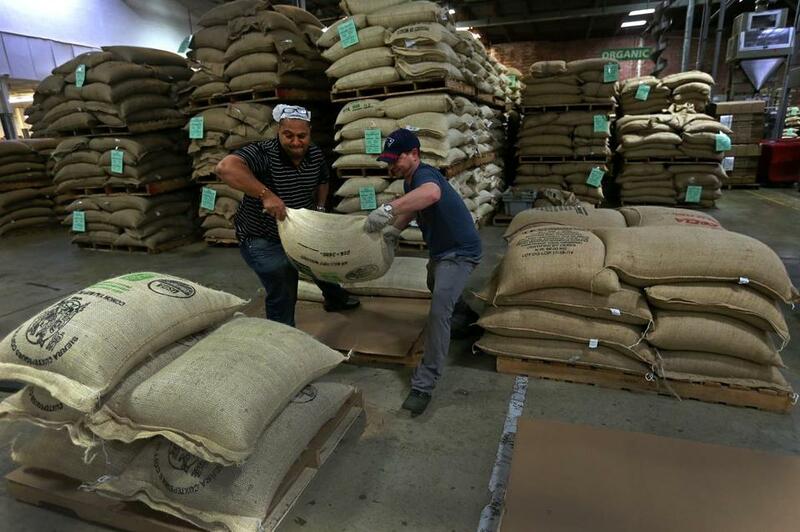 He pointed to CERO, a Boston co-op that wants to raise $350,000 as it builds a business around shipping organic waste from restaurants and grocery stores to a composting operation, as a good example. Equal Exchange shares its wealth, offering advice to smaller cooperatives such as CERO and sometimes investing in them. That openness has served as something of an inspiration to CERO’s manager-owner Lor Holmes, who first heard about Equal Exchange as a case study when she was in graduate school 20 years ago. She said she has been a fan ever since. Holmes isn’t the only one.